Better participation of LDCs, LICs, LMICs and RECs in multilateral, regional and bilateral services trade negotiations. With support from the UK Trade Advocacy Fund (TAF), ILEAP, CUTS International Geneva and Sussex University are joining hands to undertake a series of activities that seek to contribute to the increased and more effective participation of LDCs, LICs, LMICs and RECs in multilateral, regional and bilateral services trade negotiations. This initiative will enhance understanding among policy makers, regulators and negotiators about their services sectors and the role that trade negotiations can play in pursuing their strategic interests therein. As a result, they would be better able to articulate and pursue these interest in various negotiating fora. Services and services trade can play a central role in promoting sustainable development, supporting inclusive economic growth, and reducing poverty in modern economies. However, LDCs, LICs, and LMICs continue to face challenges in catalysing and/or sustaining progress across this diverse range of economic activities. With respect to trade policy and related negotiations, services have become an increasingly visible feature of discussions – domestically, regionally, as well as at the bilateral and multilateral levels. A number of challenges impacting services trade negotiations and policy-making have been identified however. This includes: (i) Not having access to reliable services trade data on which to base analysis and decisionmaking ; (ii) Inadequate skills for processing and analysing existing services trade data to underpin conclusions; (iii) Ineffective interactions between stakeholders to support decision-making – within government, and between government and the private sector, civil society, and other non-state actors ; (iv) Limited understanding of the pathways through which services competitiveness can be enhanced. With support from the UK Trade Advocacy Fund, ILEAP, CUTS International Geneva and the University of Sussex’s CARIS have partnered to undertake a series of interventions that seek to contribute to the increased and more effective participation of LDCs, LICs, LMICs and RECs in multilateral, regional and bilateral services trade negotiations. Through the studies, toolkits and training to be delivered, the envisaged results aim to assist these stakeholders in increasing their participation in services trade. With a view to enhancing their participation in services trade, this project is aimed at assisting Least Developed Countries (LDCs), Low-Income Countries (LICs), Lower-Middle Income Countries (LMICs), and their representative membership organisations (e.g. Regional Economic Communities or RECs) to participate more effectively in multilateral, regional and bilateral services trade negotiations. 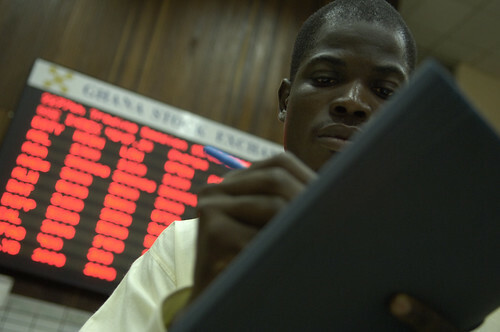 Targeting a broad spectrum of stakeholders in TAF-eligible countries– negotiators, policymakers, regulators, statistical officers and various non-state actors, the project seeks to promote: (i) Better collection and use of services statistics; (ii) Improved institutional mechanisms for services-related decision-making; and (iii) Enhanced understanding on improving competitiveness in the services sector. Negotiators, regulators, statistics officers and policy makers in TAF-eligible countries will be better able to collect and use services trade statistics in policy making and negotiations, as well as effectively promote competiveness in their services trade. Least Developed Countries (LDCs), Low-Income Countries (LICs), Low and Middle-Income Countries (LMICs), Regional Economic Communities (RECs).